The Arab private sector forum in Beirut, organized by the Union of Arab Chambers, will start on Wednesday with the cooperation of the League of Arab States, the Union of Lebanese Chambers and the Lebanese Economy and Business Group. Under the patronage of Saad Hariri, Prime Minister of Lebanon, with the participation of a number of Lebanese and Arab ministers, heads of Arab chambers of commerce, Arab financial and banking institutions and more than 400 economic figures from the Arab world. Minister of Housing, Ahmed Al-Wakil, Chairman of the Union of Egyptian Chambers of Commerce, Dr. Niven Jameh, Head of Small and Medium Enterprises, Mohsen Adel, Chairman of the Investment Authority, and Dr. Sarah Al-Jazar, Dean of the College of International Transport and Logistics. Egyptian Ambassador to Beirut, Dr. Ashraf Al-Arabi, former Minister of Planning, Dr. Atef Helmi, former Minister of Communications and a large number of Egyptian businessmen, trade and industry. He added that he will chair the second session, which will discuss the Fourth Industrial Revolution under the next economic stage and the repercussions of the new industrial revolution, which includes artificial intelligence, participatory economy, the Internet and others on the possibilities of growth and competitiveness in the Arab economies, adding that all recommendations will be raised to the Arab Economic Summit Which will be held following the forum in Beirut. President-designate Saad Hariri will inaugurate the "Arab Private Sector Forum" which will start at 10 am tomorrow at the headquarters of the Union of Arab Chambers "Adnan Al-Qassar Building for the Arab Economy". The forum is organized by the League of Arab States, the Union of Arab Chambers, the Federation of Lebanese Chambers and the Economist and Business Group. "The Forum is particularly important as one of the activities of the Arab Economic and Social Development Summit, which will be hosted by Lebanon on Sunday," the statement said. The forum, with more than 400 participants from 24 Arab and foreign countries led by ministers and delegates from Arab chambers and common rooms, attracts a large number of businessmen. The meeting will be attended by HE Mr. Hariri, Minister of Economy and Trade of the Caretaker Government Raed Khoury, Governor of the Banque du Liban Riad Salameh, Assistant Secretary General for Economic Affairs of the League of Arab States Kamal Hassan Ali, . The Forum will focus on the role of the private sector and financing institutions in sustainable development, intra-trade and reconstruction, the fourth industrial revolution and the next economic stage, Arab women and economic empowerment, entrepreneurship and small and medium enterprises. Conference »Cedar». The Arab Economic and Social Development Summit kicked off today its fourth session in the Lebanese capital today at a meeting of the committee to follow up and prepare for the summit at the senior officials level to discuss the draft agenda items of the summit. The Committee discussed the preparatory documents for the Summit, which included the draft agenda containing 27 items and the report of the Secretariat on the follow-up to the implementation of previous Summit resolutions. The Director-General of the Ministry of Economy and Trade of the Republic of Lebanon, Mr. Abbas, gave a brief presentation of the contents of the discussions that took place in the session, pointing out that "a number of items have been reserved, such as exempting Sudan from its debts and addressing the issue of displaced persons and its repercussions, Common as Customs Union. "We have proposed a united Arab vision in the digital economy," she said. "The convening of this summit in Lebanon has implications and positive implications for the Lebanese economy in times of crisis," she said, hoping that the decisions of the summit will be implemented. The Arab Economic Summit (Saudi Arabia, the Arab Republic of Egypt and the Republic of Lebanon), the Economic and Social Council (the Republic of Sudan, the Republic of Iraq and the Sultanate of Oman), the Troika, the Republic of Tunisia, the Kingdom of Morocco and the Secretary-General. Ambassador Mahmoud Afifi, Spokesman for the Secretary-General of the League of Arab States, said that the draft agenda of the Arab Economic and Social Development Summit at its fourth session, scheduled to be held next Sunday under the chairmanship of Lebanon, includes 27 items dealing with various issues of joint Arab action in the economic and social fields, Arab Food Security '. Afifi stressed the importance of the summit in its new session, which is held under the theme 'Human Development: Investing in Humanity', in the context of 'great care and attention to address the needs of ordinary Arab citizens'. The summit is preceded by the meetings of the committee on follow-up and preparation at the level of senior officials on Thursday, and the problem of the troika summit 'Egypt, Saudi Arabia and Lebanon' and Troyka Economic and Social Council 'Sudan, Iraq and Oman'. Lebanese Prime Minister Saad Hariri and Secretary General of the Arab League Ahmed Aboul Gheit will take part in the closing ceremony of the private sector forum to discuss the recommendations of the Arab Economic and Development Summit in Beirut this weekend. And an economy from the majority of Arab countries. On the first day of the forum, at the headquarters of the Union of Arab Chambers, the forum held an opportunity to present Lebanon's economic vision and infrastructure investment projects. Hariri adopted the speech of Lebanese Economy Minister Raed Khoury, who emphasized the importance of the Cedar Conference and its results, With a value of $ 11.6 billion. This reflects the confidence of the international community in Lebanon, its ability to overcome the great difficulties and challenges related to its economic structure in general, and the situation of the Lebanese State in the face of a real challenge to prove its ability to meet the financial, structural and sectoral reforms required by donor countries and organizations. Khouri identified infrastructure projects that are eligible for public-private partnership, notably the expansion of Rafic Hariri International Airport, the rehabilitation and expansion of Rene Moawad airport in Akkar, and the construction of the Khulda and Nahr Ibrahim highway (south and north of Beirut) along 38 kilometers, The construction of tourist facilities and water dams, the implementation of two power generation projects, as well as several projects in the field of sewage, solid waste treatment and transformation into energy. The total cost of these projects is $ 6.57 billion. This is a large figure, and the public sector must involve the private sector, banks and funds in financing, which will contribute to raising growth rates to 6 to 7 per cent per year after falling to one per cent In recent years, as a result of the Syrian crisis and the negative impact of displacement on the Lebanese economy. The Governor of the Banque du Liban, Riad Salameh, pointed out that a realistic view of Lebanon should be provided free of rumors and despair. "In the year 2018, Lebanon witnessed a report or two reports on economic collapse and bankruptcy. But the fact is that growth in 2018 was between 1 and 1.5 per cent, while growth in the region was according to the IMF at 2 per cent and growth in Lebanon could have reached 2 per cent if the government had been formed, . On the objectives of monetary policy for the current year, Salameh said that it is focused on «maintaining the exchange rate of the lira, stability of interest rates, and the launch of the electronic trading platform, which will provide transparent pricing and secondary market to provide markets with liquidity, and follow the support of the digital economy with a promising future, Before the end of the year, which will help to strengthen the trade movement, and to ensure respect for the laws of the countries that we trade in the currency ». The Assistant Secretary-General for Economic Affairs of the League of Arab States, Dr. Kamal Hassan Ali, reiterated the importance of implementing the recommendations of the economic summits, including the involvement of the private sector in the discussion and decision-making during the consolidation of its visions and recommendations, and the creation of an attractive investment climate. Laws and legislations that attract investment, and provide mechanisms to encourage the establishment of risk companies, and the development of technical education and training institutions to develop the capabilities of the workforce and upgrading them to meet the requirements of the revolution industry fourth, and remove the obstacles facing Arab labor Through the activation of the Greater Arab Free Trade Area and the removal of the obstacles it faces through the adoption of the Arab Convention for the Investment of Arab Capital in the Arab Region and others. The forum, according to Raouf Abu Zaki, chief executive officer of Al-Iktissad Wal-Aamal Group, is a platform for frank dialogue on the public-private partnership. Noting that «the role of governments to develop policies and legislation, regulation and control. "But the problem facing these institutions lies in either legislation or misappropriation, or both, and before them in corruption that corrupts legislation and enforcement and disrupts the mechanisms of the market and the bureaucracy inherent in most of our societies." The work of the Forum included 5 working sessions, in which 26 working papers were presented, on the role of the private sector and financing institutions in sustainable development, intraregional trade, reconstruction, the fourth industrial revolution, the next economic phase, Arab women, economic empowerment, entrepreneurship and small and medium enterprises To the knowledge economy, and «Lebanon and the partnership after the Cedar Conference». Minister of Commerce Mohammed Al-Ani on Friday called on the participants in the Arab Economic and Social Development Summit held in Beirut to take effective and important decisions and have a positive outcome on the economic situation of the Arab countries. 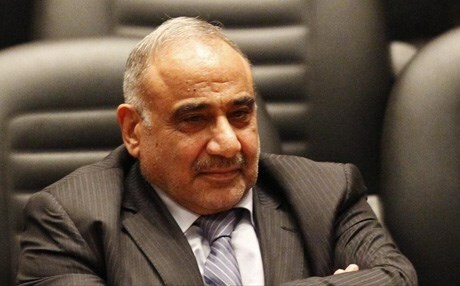 Al-Ani said in an interview with the "Iraqi political economic center" and briefed by "Economy News", Iraq participates in this Arab Economic Summit of its importance in activating the joint Arab action, which reflects positively on the economic situation of the Arab countries, noting that "Iraq has previously chaired the Summit Which took place in Cairo last December and took many decisions in several fields, which lead to interaction between the Arab countries and the occurrence of economic integration. "We are looking at the Arab Economic Summit to take effective decisions and have an outcome on the Arab countries," he said. The session of the Committee on Follow-up and Preparation of the Arab Economic and Social Development Summit was held at the Phenicia Hotel in Beirut on Thursday at the senior officials level to discuss the draft agenda items of the Summit. 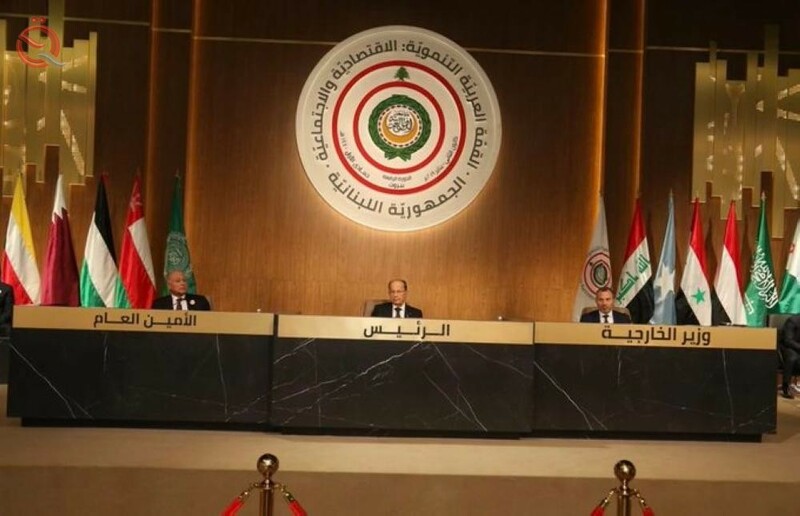 most Arab leaders, including an Iraqi apologize for the "Beirut Summit"
The Arab Economic Summit kicked off Wednesday in the Lebanese capital Beirut, amidst the absence of most Arab leaders and leaders who apologized for participating in person and sent their representatives. Sheikh Sabah al-Jaber al-Sabah on Thursday apologized for participating in the summit to join a list of leaders who will not attend the summit, including Egyptian President Abdel Fattah al-Sisi, who will be represented by Prime Minister Mustapha Medbouli, Palestinian President Mahmoud Abbas, who will be represented by Prime Minister Rami al-Hamdallah, Omar al-Bashir, who will be represented by his first deputy, Major General Bakri Hassan Saleh. According to the information received, Prime Minister Adel Abdul-Mahdi has apologized for the participation also and will send a ministerial delegation. Arab officials attending the preparatory meetings of the summit, including Saudi Finance Minister Hamad bin Sulaiman al-Bazri, explained that the Saudi finance minister would head the Saudi delegation, which is composed of officials from the finance and foreign ministries. 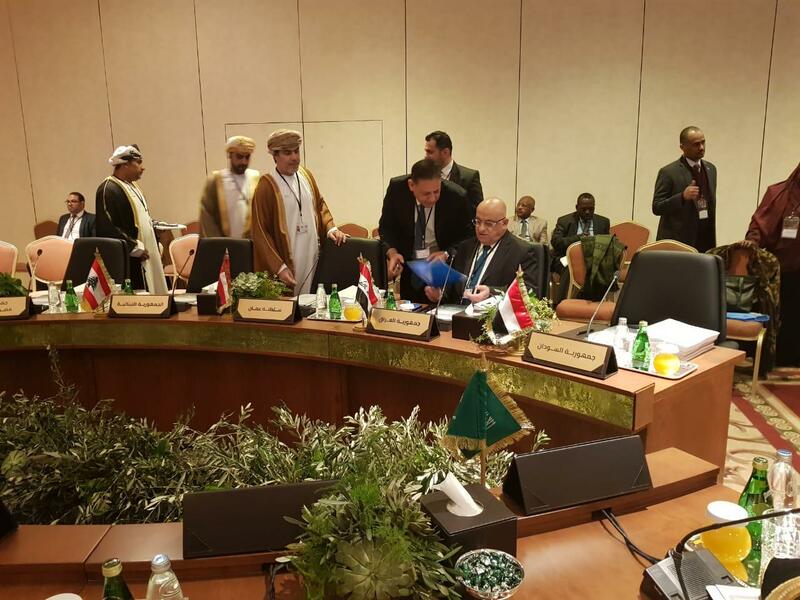 Also on Thursday were Deputy Foreign Minister of Yemen Mohammad Abdullah al-Hadrami, Iraqi Foreign Minister Mohammed al-Hakim and Moroccan Ambassador to Egypt Ahmed Tazi who said that Morocco would be represented at the summit by its Foreign Minister Nasser Bourita. Djibouti's Foreign Minister Mohamed Ali Yusuf arrived in Beirut on Thursday as well as Somalia's ambassador to Cairo, Abdul Ghani Mohammed and Ais, who said Somali Deputy Prime Minister Mehdi Mohamed Guled would represent his country at the summit. Earlier, al-Wefaq announced the cancellation of Libya's participation in the Beirut summit, after the supporters of the Lebanese Amal movement to drop the Libyan flag, from the venue of the summit to reject Libyan participation. Participation will be confined to the level of presidents and leaders in the Tunisian Presidents Béji Kayed Sebassi and Mauritania Mohamed Ould Abdel Aziz. The Lebanese newspaper "The Republic" quoted sources familiar with the displeasure and surprise of President Michel Aoun, a series of apologies by the kings and presidents and Arab princes for attending the economic summit in Beirut. The newspaper pointed out that these apologies are disturbing. The security situation in Lebanon is in place despite some violations that left negative reactions, but they do not affect the security of the summit and protect the personalities who will participate in it. The newspaper quoted sources as saying President Aoun: "Lebanon has presented all that was asked to be a distinguished summit ... Despite what happened, the summit will be held in Beirut, who attended and on time," and wished "to achieve the goals set for it." The leaders of Iraq, Libya, Tunisia, Palestine, Kuwait and others have apologized for attending the economic summit in Beirut for undeclared reasons. The newspaper also pointed out that the reasons for apologies from Arab countries, especially the Gulf, came to consider that Lebanon on the Syrian-Iranian axis, and as a result of security concerns. While informed sources told the Twilight News that the Iraqi presidencies, especially Prime Minister Adel Abdul Mahdi, apologized for the presence due to poor participation by Arab leaders, and will send ministers from his government. 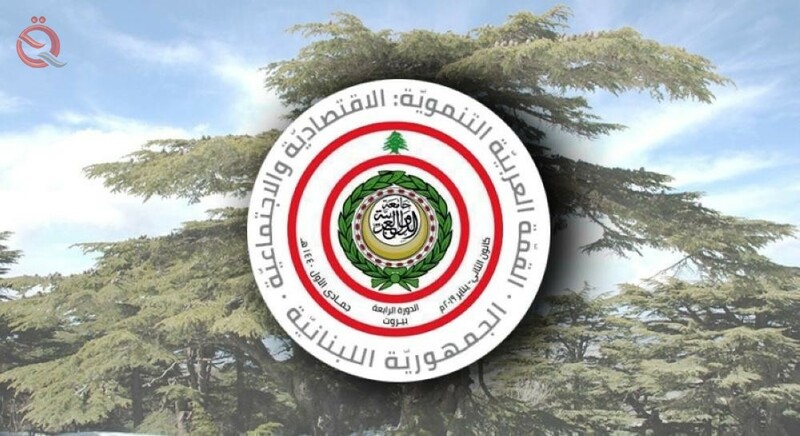 announced the Assistant Secretary - General of the Arab League , Hossam Zaki, that Syria was not invited to attend the economic summit of the University in Beirut. "No, I can not confirm that, because nothing has changed since our conversation (with Sputnik) on Saturday," Zaki told Sputnik. On Saturday, Husam Zaki told the Sputnik agency that Syria was not invited to the economic summit of the university in Beirut. 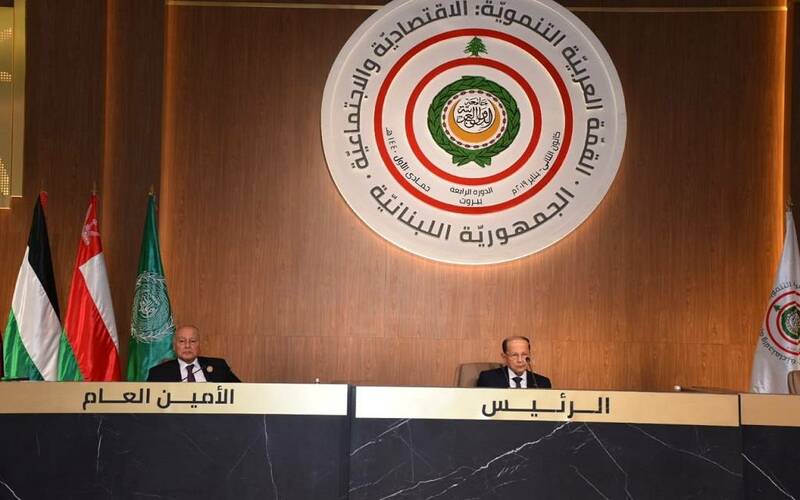 The Arab League suspended the membership of Syria following the outbreak of the crisis , which in March 2011, the Arab countries withdrew their ambassadors from the country, but has recently taken some countries steps to rebuild diplomatic relations with the government in Damascus. 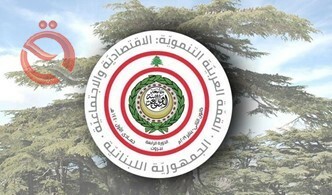 the work of Lebanon , which is hosting the economic summit of the Arab League in the 19th and 20th of January, over the past year Convince the G-Member States To invite Syria Ah to attend the Beirut summit, but the discussions were postponed until the next Arab summit held in Tunis in March. A source from the Arab League told SPOTNIK this month that the organization is working on a solution to restore Syria's membership. According to the source, these moves will be discussed as early as this month. Recently, Lebanese Parliament Speaker Nabih Berri said that the Beirut summit should not Without Syria. A report published by the Anatolia news agency on Friday revealed the participation of only three heads of state at the Beirut Economic Summit, namely Iraqi President Barham Salih, Lebanese President Michel Aoun and Mauritanian President Mohamed Ould Abdel Aziz from 22 Arab countries. Arab delegations began to participate in the Beirut Economic Development Summit to reach the Lebanese capital, in the absence of a Libyan Syrian. Lebanese parliament speaker Nabih Berri has said he will not participate and his parliamentary bloc at the summit scheduled for next Sunday. 8. Sultanate of Oman Asaad bin Tariq al- International cooperation and a special representative of Sultan Qaboos bin Said abroad. 20 - Bahrain: Undersecretary of the Foreign Ministry , Mr. Wahid highway. 21 - Libya: The province decided against the background of the burning of its flag by the movement "Amal". 22 - Syria: absent because of the lack of official invitation to it, by the League of Arab States, which suspended the membership of Damascus in 2011. The Egyptian expert on international relations, Mohammed Hamid, revealed on Thursday, in statements to Sputnik Russian, the most prominent leaders and Arab leaders, who will not attend the Arab summit economic and social development scheduled to be held on 19 and 20 January in the Lebanese capital Beirut. "The Arab Economic Summit, which is due to take place, will witness a" weak "Arab and Gulf representation that will not exceed the sending of each country to its economy minister or its representative to the League of Arab States or its foreign minister, Hamed said. "Apart from Qatar, it is expected that none of the Gulf countries will participate in the summit with any representatives, and only their representatives at the League of Arab States, explaining that the current government in Lebanon is temporary, and the formation of the majority Shiite parliament, "According to Hamid, it is difficult for the kings and princes of the Gulf to participate in it, because this will express their satisfaction with the situation in Lebanon, which is contrary to reality." The Arab Summit on Economic and Social Development kicked off Thursday at its first session to discuss the draft program of work of the meeting of the committee on follow-up and preparation of the summit and to consider the preparatory documents for the summit, which include the draft agenda and the report of the Secretariat on follow- Decisions. Hamed pointed out that despite the importance of the economic summit of Lebanon and the majority of the Arab countries, especially in light of the major economic crises experienced by all Arab countries, except the Gulf States. The Lebanese have posted a video on YouTube, showing the moment of ripping young men of the Libyan flag to replace him with the banner of the Lebanese Amal movement, and raising pictures of the founder of Amal Imam Musa al-Sadr, who disappeared four decades ago. Former Libyan leader Muammar Gaddafi is accused of kidnapping him and his accomplices when they visited Libya in 1978, although Tripoli denied his disappearance on its territory and published documents proving his departure to Libya and his entry into Italian territory. The current Arab Economic and Social Development Summit is the fourth after the first summit held in Kuwait in 2009, the second in Sharm El Sheikh in Egypt in 2011 and the third in Riyadh in 2013. Foreign Minister, Mohammed Ali al - Hakim on Friday, with the Jordanian solarise, Ayman Safadi, bilateral relations between the two countries and ways of developing them. The foreign minister met Jordanian Foreign Minister and Foreign Minister Ayman Safadi in the Lebanese capital Beirut on the sidelines of the joint meeting of foreign ministers and ministers concerned with the Economic and Social Council preparatory to the Arab Development Summit: Fourth session ". "The two sides discussed the bilateral relations between the two countries and the prospects for upgrading them to meet the interests of the two peoples, including energy and security." "The meeting also discussed the most important regional issues, especially the Palestinian issue, the situation in Syria and the security of the region in general," the statement said. "There was a great correspondence between the two sides, the agreement on cooperation and joint action in international forums, Interests of the two countries ". 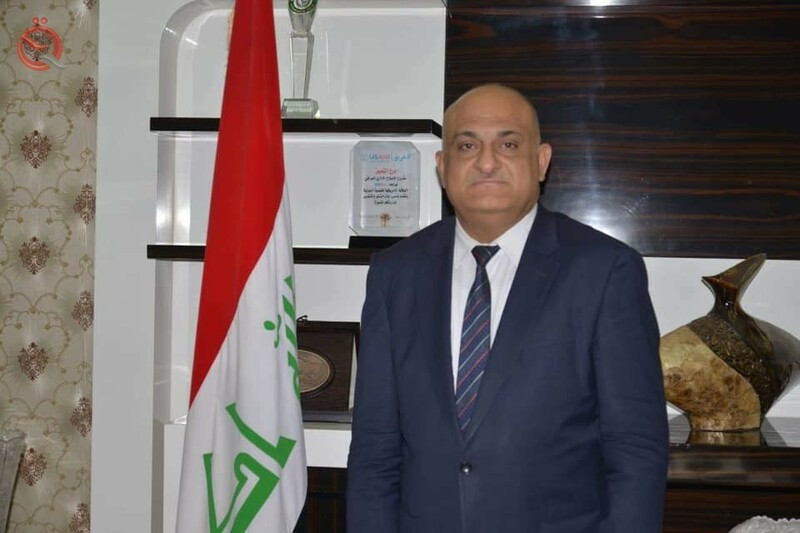 Hakim said, according to the statement that "what has been discussed in the previous meetings with regard to the program of the new government in Iraq, which needs support for its implementation, and completion as soon as possible." For his part, Safadi stressed that "the security and stability of Iraq is the security, stability of Jordan, and that the prosperity of Iraq is the prosperity of Jordan." Foreign Minister Mohammad Ali al-Hakim stressed on Friday the need for Arab countries to fulfill their obligations in accordance with the decisions of the Iraq Reconstruction Conference held in Kuwait last year. "He called on the Arab countries and the international community to provide funding for the implementation of projects related to the development of East Jerusalem in Palestine and to protect it from Israel's attempts to change the demographic of the holy city," Hakim said in a statement. , And the establishment of an independent state, and urged the international community to intensify efforts and provide assistance to resolve the humanitarian situation in the Palestinian territories. The statement added that "this came in a speech delivered by the Minister of Foreign Affairs at the ministerial meeting of the Arab Development Summit in Beirut." In the context of joint Arab action, Hakim stressed "the importance of achieving Arab integration in the field of foreign trade and financing sustainable development projects in countries suffering from wars and crises." Minister of Commerce Mohammed Hashim al-Ani met Friday with the committee to follow up and prepare for the Arab Economic and Social Development Summit at the ministerial level scheduled for January 19-20 in the Lebanese capital Beirut. Al-Ani said in a statement received by Al-Ghad Press that "the committee discussed the draft resolutions on its agenda, as well as the senior officials reached in their meetings prior to the meeting of ministers aimed at developing economic and social development in the Arab countries." He added that "the Iraqi delegation was effective in discussing the projects at the level of senior officials and also at the level of ministers of trade and economy to prepare the summit paper approved by Arab leaders." The meeting was opened by the representative of the Kingdom of Saudi Arabia, President of the Third Development Summit, and the Secretary General of the Arab League, who praised the role of the Arab countries through their governments for the purpose of promoting the Arab economic reality. The meeting discussed several items distributed among the economic and social sector, And the requirements of the Arab Customs Union, the Arab Common Market, Arab Food Security, the theme of development in the Arab countries, the theme and work of children in the Arab region, and the discussion of the situation of refugees and displaced Syrians. The meeting also discussed the issue of solid waste management and others, in addition to the subject of the Arab Charter for Small, Medium and Micro Enterprises. Two new projects were added on the agenda of the meeting: supporting the Yemeni government's development efforts in Yemen and supporting the independence of the Federal Republic of Somalia. Minister of Commerce Mohammed al-Ani, Saturday, that the Arab summit meeting in Beirut is important for Iraq economically and development. "The meeting is important for Iraq economically and in terms of development," Al-Ani told a news conference on the sidelines of a meeting of the committee to follow up and prepare for the Arab Economic and Social Development Summit at the ministerial level scheduled for 19-20 January in Beirut. He pointed out that "Iraq chaired a meeting before the month of Cairo and took a number of decisions in several areas, which lead to interaction between Arab countries participating." The minister said: "We hope that the decisions will be effective on the Arab countries and have a positive outcome on Iraq." The Minister of Commerce, Dr. Mohammed Hashim Al-Ani, Saturday, the most prominent files to be addressed by the Arab Summit for Development, Economic and Social in Beirut, pointing out that these files consist of 27 items. "The most prominent files of the Arab summit for economic, social and economic development to be held in Beirut were approved by a previous conference held a month ago at a meeting in the Egyptian capital Cairo," the minister said in a statement to the ministry. Dr. Al-Ani pointed out that "these files consist of 27 items related to the empowerment of women and the free economy among Arab countries, as well as addressing poverty and finding solutions to the situation of Syrian refugees in Lebanon." "There are also other paragraphs related to the economic aspect, especially food security, in addition to a number of paragraphs dealing with the situation in the Arab countries, a step aimed at achieving a unified economic link between these countries." He stressed that "there is follow-up by the Arab League for previous economic decisions issued at the Cairo Conference," stressing that "the follow-up was good in terms of implementation." The minister pointed out that "tomorrow will be a meeting of the Arab summit in Beirut and will issue new resolutions, and there will be follow-up also by the parties concerned." The Minister of Commerce, Dr. Mohammed Hashim Al-Ani, on Friday, the meeting of the Committee on the follow-up and preparation of the Arab summit economic and social development at the ministerial level scheduled to be held on 19 and 20 January in the Lebanese capital Beirut. "The committee discussed the draft resolutions on its agenda, as well as the senior officials reached in their meetings prior to the meeting of ministers aimed at developing economic and social development in the Arab countries," Al-Ani said. He added that "the Iraqi delegation was effective in discussing the projects at the level of senior officials, and also at the level of ministers of trade and economy to prepare the summit paper approved by Arab leaders." A statement by the Ministry of Commerce stated that "the draft agenda of the Fourth Economic and Social Development Summit included 24 items, foremost of which is the report of the Secretary General of the Arab League on Arab Economic, Social and Development Work and a report on follow-up to the implementation of the Arab Economic and Social Development Resolutions at its third session in Riyadh 2013 , And a special annex to the periodic convening of the Arab Development Summit on the basis of a decision of the Economic and Social Council. The Arab Agenda for Sustainable Energy 2030, the Arab Common Market for Electricity, and the Integration Initiative for Arab Countries. Between tourism and cultural and cultural heritage Arab countries, solid waste management in the Arab world, support for the Palestinian economy, and financing for development. The agenda included assistance for trade, the economic and social burden of hosting Syrian refugees and their impact on host countries, the challenges faced by the United Nations Relief and Works Agency for Palestine Refugees (UNRWA) and its implications for the host countries of Palestinian refugees. As well as the development of a common Arab vision in the field of digital economy, the Arab Strategic Framework for the Elimination of Multidimensional Poverty 2020-2030, the Platform for Action for the Family in the Arab Region within the framework of the implementation of the goals of sustainable development 2030, and the pinktank, woman. The draft agenda also includes the Arab Strategy for the Protection of Children in the Status of Asylum and Displacement in the Arab Region. Political sources revealed, Saturday, the real reason for the lack of participation of Prime Minister Adel Abdul-Mahdi at the Arab Economic Development Summit scheduled in the Lebanese capital Beirut. "The real reason is due to Adel Abdul Mahdi's commitment to give his government confidence not to travel outside Iraq within 100 days of assuming responsibility," the source told Mawazine News. "He authorized President Barham Saleh to participate in his place and to represent Iraq at the summit," he said. The Beirut summit, which will be held today and tomorrow, will discuss economic and social issues such as the launch of a strategy for the establishment of a major Arab free trade area, a joint Arab electricity market and the digital economy. [ltr]"Foreign Minister Mohammed Ali Al-Hakim met Sabah Khalid Al-Hamad Al-Sabah, First Deputy Prime Minister and Foreign Minister of Kuwait, on the sidelines of his participation in the Arab Economic and Social Development Summit in Beirut," the Foreign Ministry said in a statement received by Al-Furat News, . Hakim said that Baghdad is proud of the brotherly ties between the two brotherly peoples, expressing appreciation for the efforts made by Kuwait and its positive role in supporting Iraq in various fields. [ltr]"The minister met with Shukri on the sidelines of his participation in the Arab Economic and Social Development Summit in Beirut, where the two sides discussed regional and international issues of common concern, and the establishment of mechanisms for economic cooperation, electric linkage and exchange," a foreign ministry statement said. Experiences in the field of construction, reconstruction and sustainable development of resources in both countries. " Al-Hakim appreciated the distinguished relations between the two countries and the importance of upgrading them to the horizons of development to serve the interests of the two brotherly peoples. He reiterated the need to close the ranks and continue the joint Arab action to confront the dangers facing the region, "He said. The Arab Economic, Social and Development Summit will be held in Beirut on Sunday, under the chairmanship of Lebanese President Michel Aoun, in the presence of a number of Arab heads of state and government, ministers and regional and international organizations, including Emir of Qatar Sheikh Tamim bin Hamad. According to the official website of the Arab Economic Summit, the draft agenda of the Summit includes 24 items, foremost of which is the report of the Secretary General of the Arab League on joint Arab economic, social and development work, a report on follow-up to the implementation of the decisions of the 2013 Riyadh Summit and a special annex to the Arab League Economic and Social Council. The draft agenda includes an item on Arab food security, including topics such as Sudanese President Omar al-Bashir's initiative on Arab food security, the Arab emergency food security program, integration and trade in agricultural and plant crops, and livestock products in the Arab region. The Summit will discuss the developments of the Greater Arab Free Trade Area and the completion of the requirements of the Arab Customs Union, the Arab Charter for the Development of SME Sector, the Arab Strategy for Sustainable Energy 2030, the Arab Common Market for Electricity, the Integration Initiative between Tourism and Cultural Heritage, in the Arab world . The agenda also includes the development of a common Arab vision in the field of digital economy, and the Arab strategic framework for the eradication of multidimensional poverty 2020-2030 and the Platform for Action for the Family in the Arab Region within the framework of the implementation of the goals of sustainable development. For his part, Spokesman for the Arab Summit for Economic and Social Development, Rafik Shalala, said that bilateral meetings were held in Beirut between the delegations. They discussed the wording of the last paragraphs and the items that need to be developed or modified, especially the item concerning the displaced Syrians. He explained in his remarks, which was quoted by the National Agency for Information, that these meetings help to secure the climate, which leads to the final statement of the value of a comprehensive and agreed among all members. He pointed out that the participation of Emir of the State of Qatar Sheikh Tamim bin Hamad Al-Thani at the summit is important and adds value. The Arab Economic Summit began in Beirut on Sunday, opened by Lebanese President Michel Aoun, in the presence of Arab leaders. Two open sessions, a closed session to deliberate on the final communiqué, and a public announcement of the resolutions are scheduled to follow. Lebanese Foreign Minister and Secretary General of the League of Arab States will hold a press conference to announce the "Beirut Declaration" at the end of the Summit. Iraqi Foreign Minister Mohammed al-Hakim and his Egyptian counterpart, Sameh Shukri, discussed ways to maintain the momentum of relations between Iraq and Egypt and push them to greater horizons, especially reconstruction efforts. On the sidelines of the Arab Economic and Social Development Summit in Beirut, the two ministers exchanged views on developments in regional issues as well as ways of enhancing bilateral relations. The two sides discussed regional and international issues of common concern, and the establishment of mechanisms for economic cooperation and electric linkage and exchange of experiences in the field of construction and reconstruction and sustainable development of resources in both countries. The two ministers stressed the need for integration between Baghdad and Cairo, and the importance of addressing regional issues. In the context of cultural exchange, the importance of continuous communication to support Iraqi students studying in Egyptian universities was emphasized. The Arab Economic Summit, to be held in Beirut on Sunday, will discuss draft resolutions prepared by foreign ministers on 29 agenda items, most notably supporting investments in the host countries of Syrian refugees and accelerating the establishment of the Arab Customs Union. Only Qatar's emir Sheikh Tamim bin Hamad al-Thani, Mauritanian President Mohamed Ould Abdel Aziz, and Lebanese President Michel Aoun were present at the leaders' level, while a number of presidents apologized in recent days for not showing up without giving reasons, And the Somali. The preparations for the summit were overshadowed during the last period by discussions on the possibility of inviting Syria to attend. Lebanese Foreign Minister Jubran Bassil called on Friday at the meeting of Arab ministers to return Syria to the League of Arab States. According to the French news agency, among the draft resolutions put forward, the call of the international community to support the Arab countries hosting Syrian refugees, and that the Secretariat of the League of Arab States be invited to convene a meeting of international donors and international organizations concerned. One of the issues to be raised at the Sunday summit amid divisions among the countries concerned over its wording is to encourage the voluntary return of Syrian refugees to areas where the fighting has stopped. The draft resolutions also include inviting Member States, financial institutions and donors "to provide technical and material support to the Republic of Yemen" that contributes to reconstruction. As for the Arab Customs Union, which was supposed to be established in 2015 after being discussed in previous sessions, most recently in Riyadh in 2013, one of the draft resolutions calls on the Arab countries to expedite the completion of the requirements for its establishment. Foreign Minister Mohammed Ali al-Hakim delivered a speech on Sunday at the ministerial meeting of the Arab Economic and Social Development Summit, which was held for the second day in Beirut, calling for the establishment of a commercial zone and the transformation of the border into investment. "Iraq today has become a point of convergence, and its doors are open to cooperation and Arab integration in all its forms. It will play a pivotal role in supporting security and stability in the region and in building a common Arab-based system of relations," the Foreign Ministry quoted Al-Hakim as saying. Exchange of interests away from axes. " He explained that "Iraq's policy is focused on economic openness, extending the hand of friendship and cooperation to all brotherly and friendly countries, and building a network of economic relations and attracting large foreign investment." He called for "the importance of achieving economic integration, the establishment of major joint economic zones, and the transformation of borders between our countries into investment areas." He stressed, "We must work to find effective mechanisms, and applicable in the field of economic cooperation by encouraging joint investment of income-generating projects to eliminate unemployment." "The continued economic deterioration in some countries of the region is a major challenge to security and stability," said Foreign Minister Mohammad Ali al-Hakim. "The provision of food security to our Arab countries is a key element in promoting joint Arab action to serve the Arab citizens." introduced the Kuwaiti Foreign Minister Sabah Al - Khaled Al- Sabah, Sunday, an initiative to establish a fund to invest in technology worth $ 200 million. During the Beirut Economic Summit, Sabah announced his country's initiative to set up a $ 200 million technology investment fund. "Kuwait will contribute 50 million dollars of the capital of this fund to allow investment in the fields of technology and digital economy" with the participation of the private sector. The Arab Economic and Development Summit ended in Beirut on Sunday evening with a focus on the implementation of previous summits and warning of an increased crisis in the crisis of displaced people and refugees. Ambassador Hossam Zaki, Assistant Secretary-General of the Arab League, read the Beirut Declaration issued at the end of the Arab Economic and Development Summit at its fourth session in Beirut. The Arab leaders stressed "the necessity of supporting the steadfastness of the Palestinian people in the face of the increasing Israeli aggression and the subsequent destruction of the Palestinian economy and infrastructure and their belief in the collective Arab and Islamic responsibility towards Jerusalem in order to preserve the Arab, Islamic and Christian identity of Al-Quds Al-Sharif." Provide the necessary funding by involving relevant organizations and entities to implement the projects contained in the Strategic Plan for the Sectoral Development of East Jerusalem 2018/2022 ". The Arab leaders called on the concerned parties to "develop means to mobilize popular support for the implementation of the plan, while stressing the right of return and compensation for Palestinian refugees and their descendants in accordance with the resolutions of international legitimacy." The Arab leaders and heads of government renewed their commitment to the draft resolutions of the previous Arab development summits and, given the circumstances in which the Arab region is undergoing economic and social transformations, have created great challenges that would sharpen the aspirations of the Arab citizens. 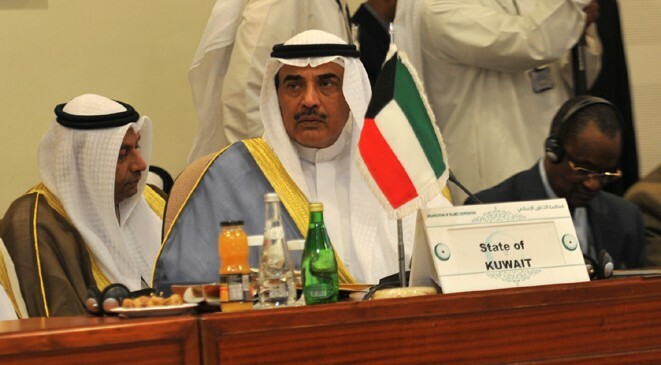 The Arab leaders warned of the "worsening of the crisis of refugees and displaced persons in the Arab countries and the consequent economic and social burdens on the Arab host countries and the consequent major challenges of eating better conditions and alleviating the consequences of asylum and displacement to host countries." He called on Arab leaders to "unite all international donors, specialized organizations and Arab funds to alleviate the suffering of these displaced persons and refugees and secure funding for the implementation of development projects in the Arab countries hosting them that would support national development plans and contribute to reducing the economic and social impact of these Temporary hosting ". He called on Arab leaders to "attract more Arab and international investments in the host countries," welcoming in this regard "the adoption of the Global Agreement for safe and orderly migration and the systematic as well as the Global Agreement on Refugees." 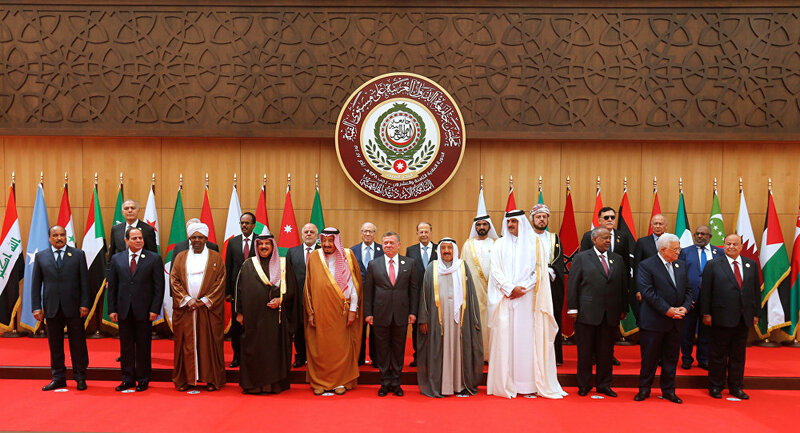 The Arab leaders expressed their "hope that the implementation of positive effects on migrants and refugees," pointing to "
They stressed the need to adopt proactive policies to build the necessary capacities to take advantage of the potential of the economy figure, support for private initiatives and the importance of developing a common Arab spirit in the digital economy. "Arab leaders also stressed" the importance of supporting the economic and social development process, The Arab Free Trade Union and the requirements of the Arab Customs Union in the hope of reaching a common Arab market and exerting all efforts to overcome the obstacles that are funded without achieving this, stressing at the same time the importance of supporting and financing Arab integration projects and completing the efforts initiative For trade ". Arab leaders announced the adoption of the pilot charter project to develop the sector of small, medium and micro enterprises to ensure the integration of the economies of the Arab countries among them to create competitive advantages in light of the international economic blocs to improve the level of employment and reduce unemployment rates, stressing the importance of developing a monitoring and evaluation mechanism to improve and review policies and programs directed For the development of small and medium enterprises, calling at the same time the private sector to support the competitiveness of these institutions. Arab leaders also announced the adoption of the Arab strategy. Kuwaiti Foreign Minister Sheikh Sabah al-Khaled al-Sabah announced at an Arab economic summit in Beirut on Sunday the launch of an initiative aimed at setting up a $ 200 million fund to invest in technology. The minister said Kuwait would contribute $ 50 million of the fund's capital to allow "investment in the fields of technology and the digital economy" with the participation of the private sector. Some 20 countries, such as Egypt and Kuwait, have mobilized heads of government or foreign ministers or finance ministers to participate, while officials have played down the importance of poor representation at the summit. The Emir of Qatar, Tamim bin Hamad al-Thani, will also attend the summit, which has been divided between Arab countries over Syria and its ally Iran and internal conflicts in Lebanon, with the withdrawal of a number of leaders. Foreign Minister Mohamed Ali al-Hakim on Sunday chaired the Iraqi delegation at the Arab summit in Beirut and a high-level presence of Trade Minister Mohammad Hashem al-Ani. 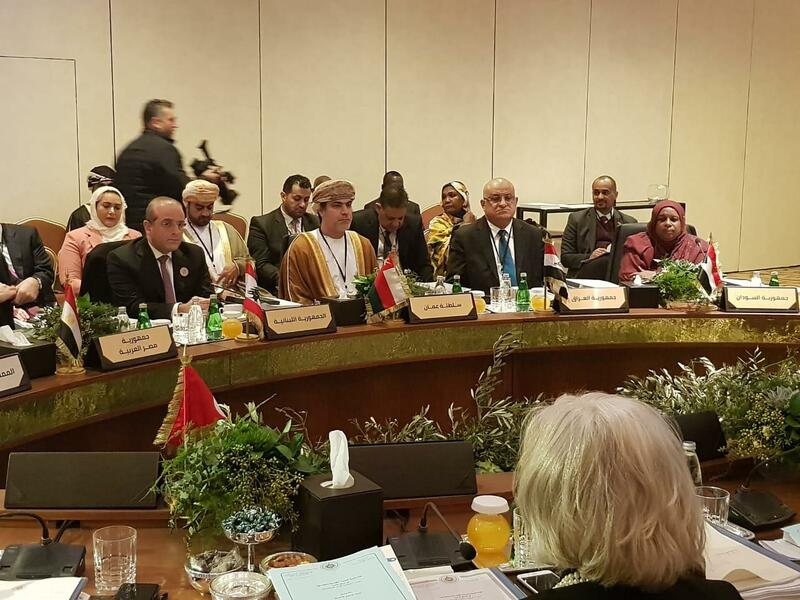 The summit meetings were held at the level of Arab leaders. Today, the summit was opened by Saudi Finance Minister Mohammed bin Abdullah, head of the delegation of the Kingdom of Saudi Arabia, which chaired the previous summit. The Saudi minister called for "the need to integrate the economic development summit with the ordinary Arab summit." Lebanon's President Michel Aoun welcomed the participation in the summit and asked countries to achieve the goals of sustainable development by fighting poverty, reforming climate change and combating terrorism that hit several Arab countries. The Lebanese president referred to "the crisis of displaced Syrians and Palestinians in the Arab countries," calling on Arab countries to "look closely towards the strategy of sustainable development, which includes 17 goals and fight corruption." He stressed the need to coordinate with the investment and social projects and the interest in the role of women in the Arab region and the interest of the Arab child because of this issue of common Arab interest. He also said that we hope to establish the Arab common market and establish the Arab electric link and work to raise trade exchange through land routes Between Arab countries and attention to digital and technological development. " Aoun called on the international community to "make every effort to return the displaced Syrians to their areas of security by providing incentives to rebuild their areas." Two open sessions, a closed session to deliberate on the final communiqué, and a public announcement of the resolutions are scheduled to follow. The Lebanese Foreign Minister and the Secretary General of the League of Arab States will hold a press conference to announce the "Beirut Declaration" at the end of the Summit. Saudi Arabia proposes integration of Arab Economic Summit in "ordinary"
RIYADH: Saudi Arabia will re-propose the merger of the Arab Economic Summit at the regular summit to study it again, Saudi Finance Minister Mohammed bin Abdullah al-Jad'an said. In his speech at the fourth session of the Arab Economic and Social Summit in Beirut on Sunday, Al-Jadan said that this proposal comes in view of the importance of economic and social development issues and the need for continuous follow-up. The minister pointed out, according to the Saudi Press Agency "SPA", that the development areas, rapid and continuous, which makes the summit every four years is not consistent with the pace of rapid developments. He continued: "It is appropriate to be a subject of development issues a permanent and independent agenda on the agenda of the Arab summit regular." The fourth summit comes at a time when the Arab countries face many challenges that surround them from each side, as their enemies are keen to weaken them and drain their resources. He called on the Saudi finance minister to push forward the joint Arab action by adopting policies that would strengthen the cohesion of this nation and strengthen its economic, trade and investment ties. He also stressed the need to strengthen inter-Arab trade, remove obstacles and consider our common Arab interests, and work to strengthen the role of the Arab private sector and adopt policies that stimulate inter-investment. The fourth session of the Arab Economic Summit, hosted by Beirut, started on Sunday. In an opening address to the Arab Economic Summit, Lebanese President Michel Aoun said: "I am taking the initiative to adopt the reconstruction strategy for development and to put in place effective mechanisms, foremost of which is the establishment of an Arab Bank for Reconstruction and Development to help all affected Arab countries and peoples overcome their plight ." In his speech, Aoun called on all Arab funding institutions and funds to meet in Beirut during the next three months to discuss and develop effective mechanisms in line with the challenges facing us and the requirements of reconstruction. "An earthquake of mobile wars has hit our region and the losses are heavy. We are not here today to discuss the causes and causes of wars, but to address their devastating consequences for the economy in our countries, " he said. He added that Lebanon has paid dearly for war and terrorism and for years has borne the brunt of the displacement of the Syrian brothers and the Palestinian brothers. The Israeli occupation continues its aggression and does not respect international resolutions . He appealed to the international community to contribute and work to secure the return of displaced Syrians, without linking them to the political solution in Syria . He added that Lebanon is working on solutions to the crisis of displaced Syrians in the draft final statement of the summit . The President of the Republic, General Michel Aoun, said that "Lebanon has paid dearly for war and terrorism, and for years has borne the brunt of regional and international burdens to displace the Syrian brothers, in addition to the 70-year-old Palestinian brothers. In addition to the "Israeli occupation, which has been waiting for us for seven decades in its aggression and occupation of the Palestinian and Arab territories and its disregard for international resolutions. Today, Quds and declaring it the capital of Israel and the adoption of the law «Jewish nationalism of the State of Israel». He considered at the same time «the most dangerous of all this is the case of internal stumbling and dispersion experienced by the Arab world». The positions of the President of the Republic and his initiative came during the speech he gave on behalf of Lebanon, opening the fourth session of the Arab Economic and Social Development Summit, which was held in Beirut after Lebanon received its presidency from the Kingdom of Saudi Arabia. Welcome to Beirut Welcome to Beirut, Umm Al-Sharaa and Mehdi. Welcome guests in your country and dear brothers, who are meeting at this summit to meet the economic and development challenges facing our countries. The success of our efforts will meet the aspirations of our peoples and the hopes of generations and take a step towards prosperity and prosperity. And to promote joint Arab development work. I would like to thank His Majesty King Salman bin Abdulaziz for his presidency of the previous session of the Summit. The internal wars, the spread of terrorism and extremism, and the emergence of waves of displacement and asylum, which the world has not seen since the end of the Second World War, have adversely affected the development process which is making its way hard in the region, especially in some countries that suffer mainly from economic and social problems. And will continue to have repercussions and repercussions on them for many years, which will inevitably impede the implementation of any economic and social calendar to achieve the goals of sustainable development, and make them lag behind the rest of the world. Where are our countries from the march to achieving the global goals of sustainable development, from the eradication of extreme poverty to the fight against inequality and injustice or the reform of climate change at the time of the destruction of houses on their heads and the most basic rights of peoples to freedom and dignified life? And millions of people are leaving their homelands to other countries that are already under their burdens and narrowing their populations? I speak from Al-Aref's website, because Lebanon has paid dearly for war and terrorism, and for years has borne the brunt of the regional and international burdens of the displacement of the Syrian brethren, in addition to the 70-year-old brotherhood of the Palestinian brothers. Narrow infrastructure, inadequate infrastructure, limited resources and an overburdened labor market. On the other hand, there is the Israeli occupation, which has persisted for seven decades in its aggression and occupation of the Palestinian and Arab territories and its disregard for international resolutions. Today, it reached the height of its aggression by Judaizing Jerusalem, declaring it the capital of Israel and adopting the "Jewish Nationalism of the State of Israel" , With the result of striking the Palestinian identity and trying to topple Resolution 194 and the right of return. In addition to this, the Israeli threats, the continuous pressure on Lebanon, the permanent violations of Resolution 1701, and the Lebanese sovereignty, land, sea and air. But more dangerous than all this is the state of internal stumbling and dispersion experienced by the Arab world, and it is known that «every kingdom divided on itself is ruined, and every house divided on itself does not prove». This devastation touches the pillars of our countries, foremost of which is economy, prosperity and development. Our nation is a productive nation that is" weaving, growing, straining "and achieving its food security. It faces many challenges. The first challenge today is to make all the painful events that have afflicted us. A catalyst for working together to get out of the vicious circle of wars and their aftermath, to advance the march towards a better future for our peoples. We are an example in Europe that knows how to heal the wounds of its wars and reached peace through economic and social prosperity. Our Summit takes place after a period of several years in which the world witnessed the historic decision of the 70th session of the United Nations General Assembly in 2015, under No. 70/1, in which it endorsed the 1730 Sustainable Development Plan for 2030. "This plan represents a program of action for people, the planet and for prosperity. It is also aimed at promoting world peace in a larger atmosphere of freedom. " From here, we chose the Arab Development Summit: prosperity is a factor of peace. Achieving prosperity is a daunting task but not impossible. Addressing the root causes of crises and seeking to eradicate poverty, which generates inequality, war and terrorism, must be a priority. Fighting corruption, carrying out the necessary reforms at all levels, ensuring the stability of legislation and fairness of the judiciary to provide the confidence factor for domestic and foreign investments. We also have to coordinate Arab programs and plans before the United Nations Summit on Sustainable Development in New York on September 25, in the presence of world leaders. We hope that this summit will contribute to activating the activity of the outstanding projects, and work to complete them and achieve them in the interest of all our peoples. Where are we today from the common Arab market, and the measures that help in the discharge of agricultural production while respecting agricultural calendars and reciprocity that allow Arab integration? Where are the major projects such as interconnection projects between the Arab countries, including the electricity link, as well as the Greater Arab Free Trade Area, and increasing the rate of intra-direct investment in the Arab countries? Is not it time to facilitate the exchange of land through the border points and the opening of the crossings that allow the passage of goods between our countries? And where are we from correcting the course of the Arab facilitation agreement to become more just and comprehensive? We also hope that the development summit will witness useful modern projects for the Arab world, and Lebanon will present a project on the digital economy in view of the importance of technological and information developments and the consequent changes that can not be overlooked, such as electronic commerce and digital government. Lebanon calls on the international community to exert all possible efforts and to provide the necessary conditions for the safe return of displaced Syrians to their country, especially to stable, accessible or low-tension areas, without being linked to a political solution. Provide incentives for return in order to contribute to the reconstruction and stability of their country. We have worked on a draft final communiqué issued by the Summit on the crisis of displaced persons and refugees in view of the repercussions of this serious crisis on the economies of our countries and, furthermore, the existential risks to the social fabric of the region. In light of the great challenges and the major tasks facing us after the wars and crises in many Arab countries have intensified, I present my initiative to adopt the strategy of reconstruction for development, calling for the establishment of effective mechanisms in line with these challenges and the reconstruction requirements, foremost of which is the establishment of an Arab Bank for Reconstruction Development assists all affected Arab States and peoples in overcoming their plight and contributes to their sustained economic growth, the well-being of their peoples and the achievement of the goals of sustainable development. In this context, I call on all Arab funding institutions and funds to meet in Beirut during the next three months to discuss and develop these mechanisms. The convening of this summit in Beirut at this delicate stage in the region is an affirmation of the role of Lebanon and its mission in its surroundings and the world, and we hoped that this summit would be an occasion to gather all the Arabs. There will be no vacant seats. To this vacancy, but the obstacles were, unfortunately, stronger. We also regret the lack of presence of the brothers, kings and presidents, and they have no excuse for their absence. The reunification remains an urgent necessity, because the challenges that beset our region and our identity and our identity can only be achieved through our consensus on our just causes and our universal national rights. To prosperity and stability. In conclusion, I welcome you again and wish success to the work of our Summit. " "It is my pleasure and privilege to meet today in the Republic of Lebanon to inaugurate the fourth session of the Arab Economic and Social Summit. On this occasion, I would like to extend my sincere congratulations to you, Mr. President, and to your dear country on assuming the presidency of the fourth session of the Summit. I wish you success and good luck. I am also pleased to extend my thanks and appreciation to the Custodian of the Two Holy Mosques King Salman bin Abdulaziz Al Saud and the Kingdom of Saudi Arabia for presiding over the previous session of the Summit and for the able and wise management of its work. Our summit is held after an absence of six years. We have been occupied by the major events, and some of our countries have faced - and still are - the various types of security challenges, political turmoil and humanitarian crises. These challenges, however serious and dangerous, remain an extension of the more serious challenge of achieving Comprehensive development, and response to crises and social problems that often accompany the process of growth and modernization .. The facts that the Arab world has witnessed in its contemporary history that development, security and stability are all loops in one coherent system .. No continuous development without the umbrella of Istiq Security and security, protected from adverse returns and setbacks, and ensures the continuity of its path without interruption .. And no real stability and sustainable without comprehensive growth touches on all aspects of human life .. And raise and improve the quality. Indeed, the path to development has become known, although not in any way easy or affordable. Others have taken it from us, and have determinants and requirements. The first is, of course, to achieve high rates of economic growth of at least 6 or 7% While there is a slight improvement in the expected economic growth rate in the Arab region, which is 2.7% this year, these rates are still insufficient to achieve the desired development boom, as well as the continuation and continuity depends on the stability of the situation Political and security issues that some of our States and societies continue to pour The price for his absence during the past years. The main gap that separates us from the developments of the world economy is basically human capital. Knowledge and innovation, not manufacturing or services, are the greatest generator of high added value in light of the acceleration of the phenomenon called the Fourth Industrial Revolution with its various applications. The technological revolution will have to be our top priority in the next phase, and it will take more effort to narrow the digital divide with other regions of the world. More than half of the Arab world's population is not connected to the Internet. A .. If we do not improve the exploitation of the «demographic window« will this mass youth turn into a burden on the economies, but the engine of the disorder, and probably a fertile environment for the various forms of religious and political extremism. In addition to the urgency of the social issue, some of our countries have experienced crises that have caused waves of asylum and displacement. Unfortunately, the Arab world is home to about half of the world's refugees and displaced people. It is enough to know that some 4 million Syrian children have left their schools because of the war there Seven years ago, it is enough to follow the serious humanitarian crises in both Somalia and Yemen ... without forgetting the tragic reality that our people suffer in Palestine because of the Israeli occupation imposed by closure, siege and unfair practices. This is to realize that the battle of development in many aspects of our Arab world I do not live in natural conditions or in a favorable environment, but in difficult conditions and fragile environment. The hope here is to show greater solidarity and solidarity to support and support the societies underpinned by these humanitarian crises, including Lebanon and Jordan, which have borne a great deal of responsibility for the religion of Arabism and the duty of humanity. The challenges of achieving sustainable development require Arab governments to put the future in their account. We have to face difficult questions without delay or postponement. Questions on the provision of food to more than 360 million Arabs on the preservation of scarce Arab water resources. About 1% of the world's freshwater resources, how to develop them and ensure their sustainability. Questions on managing the energy mix with greater reliance on renewable sources. Questions on comprehensive Arab plans to address the global uncertainties such as climate change and technological development that threaten traditional jobs. .
Having said that, I wish all the best for the work of this important summit. I can only say in conclusion that our people throughout the Arab world are looking to stability away from the evils of turbulence and to a comprehensive renaissance that takes them to the times with its successive developments. They are looking forward to a day when they see their children living better than those they have lived in. They are healthier, better educated and more empowering ... and I believe that our country is capable of catching up. The purpose of the path ». President Mohamed Ould Abdel Aziz called for accelerating the achievement of a comprehensive and just solution to the Palestinian issue based on international resolutions and the Arab peace initiative. It is imperative for us to achieve peace as well. Yemen and Syria. Jordanian Prime Minister Omar al-Razzaz, said: «Our great hope this session of the presidency of the Lebanese Republic to be crowned with success and we hope to find frameworks to increase cooperation between the private sector in our country in our cooperation and good cooperation for our peoples». Al-Razzaz said that "effective Arab joint action is no longer just an emotion, but an urgent need for the survival of each and every one of us and we would have been different if we had formed a joint political and economic force." , in turn, said Sudanese Vice President Bakri Hassan Saleh, "The economic changes that are going through the region requires us to proceed faster to achieve the Arab free trade zone." Palestinian Prime Minister Rami al-Hamdallah said: "The Palestinian issue is going through a difficult phase due to the recent American decisions and the Israeli escalation. Last year we were besieged financially and politically, but our government adopted rational financial policies to reduce the deficit." The President of the Council of the Nation Abdelkader Ben Saleh in the first session of the Arab summit in Beirut , «he can not conceive of development without security and vice versa, and to achieve this Alambngy requires directing development strategies towards Arab rights by investing in education intensifying». 's Foreign Minister, Sheikh Sabah al-Khalid, said: "Our countries face great challenges and risks in light of the decline in joint Arab action." 's Foreign Minister Sheikh Khalid bin Ahmed bin Mohammed Al Khalifa. 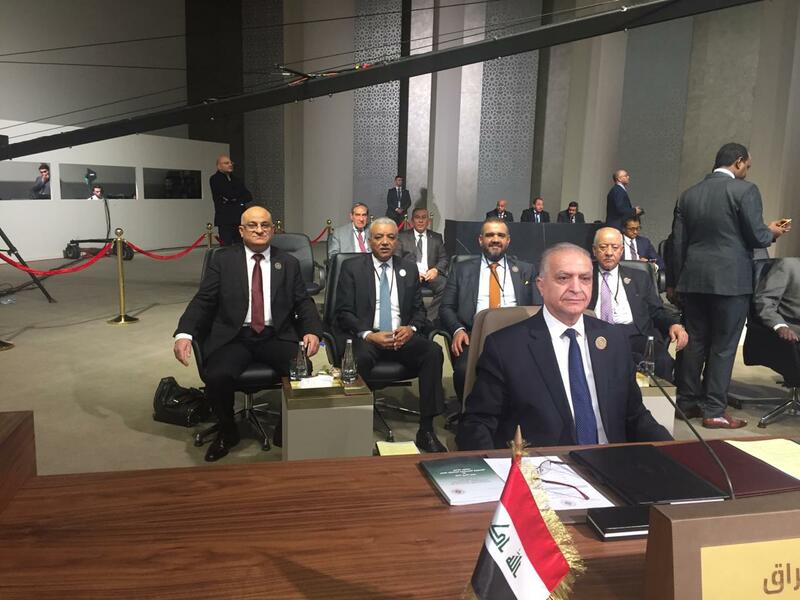 its part, stressed the Iraqi Foreign Minister Mohammed al-Hakim, in his speech at the economic summit development in Beirut, that the policy of Iraq today is to extend the hand of cooperation and attract foreign investment, it is time for their people to live in the fine. Egyptian Foreign Minister Sameh Shukri stressed in his speech at the economic summit in Beirut that the energy issue is a priority of the summit and Egypt is ready to transfer its expertise in the field of electricity. Somali Foreign Minister Ahmed Issa Awad said in his speech at the economic summit in Beirut that "the situation in the region requires coordination and cooperation in the framework of joint Arab action and the determination of our priorities in the interests of our common interests." Minister of Foreign Affairs Mohamed Suef said in his speech at the Beirut Economic Summit that "the Arab Economic and Social Development Summit in Beirut underscores the close ties that bind the Arab nation." , the Assistant Secretary-General of the League of Arab States Hossam Zaki, stressed the need to support the Palestinian people in the face of Israeli aggression, as well as the right of return of the two delegations. 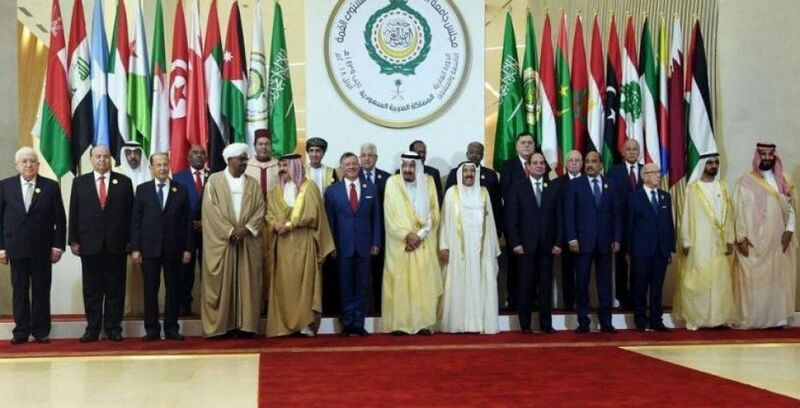 The Arab Summit for Economic and Social Development kicked off Wednesday in Beirut with the participation of representatives from all Arab countries except Syria, due to the freezing of their participation in the university and Libya due to the repercussions of the disappearance of Imam Musa al-Sadr. One of the most important items of the Summit is to support investments in the host countries of Syrian refugees and to accelerate the establishment of the Arab Customs Union. The Emir of Qatar arrived yesterday at Rafic Hariri International Airport, where President Aoun greeted him and then left the airport on the same car heading for the Beirut waterfront, where the Arab Economic Summit began. A quick meeting was held between the two at the VIP lounge at the airport. 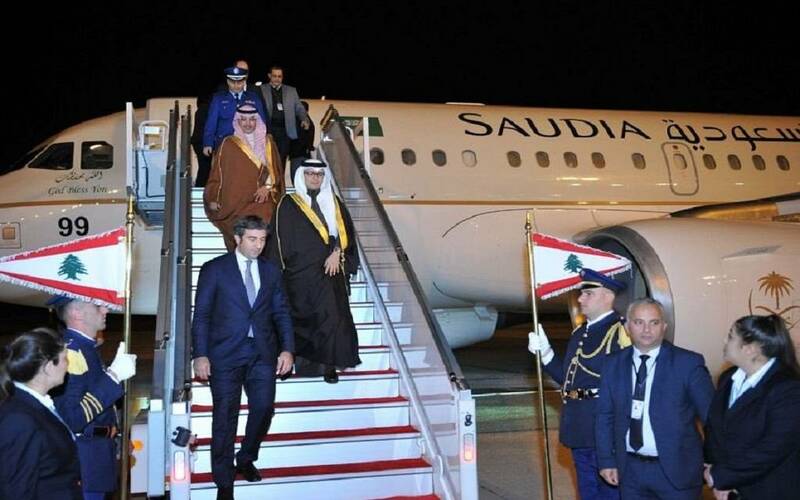 The emir of Qatar left the summit after his participation in the opening session, and was accompanied by Prime Minister-designate Saad Hariri to the airport. The Arab countries face an urgent need to eradicate poverty , said Mahmoud Mohieldin, the World Bank's First Vice President, on Sunday. During a speech at the opening of the Arab Economic Development Summit in Beirut, Mohieldin explained that the summit is taking place amidst economic fragility. "We are witnessing a change in the balance of world economic power." He pointed out that the Arab economy is subject to many changes in light of several developments (human displacement, changes in the climate, accelerating the pace of technology). Lebanese President Michel Aoun said on Sunday that his country faces the biggest burden of hosting Syrian and Palestinian refugees. "The Arab world has the highest unemployment rate in the world," said the First Vice President of the World Bank. "Arab society is a youth society, and these standards must be used in human development." Last year, Abdul Rahman bin Abdullah al-Humaidi, general manager and chairman of the Arab Monetary Fund, said the unemployment rate among young people in the Arab countries is 28 percent, compared to 12 percent worldwide. The fourth Arab Economic, Social and Development Summit was launched in Beirut on Sunday after the absence of six years since the economic summit held in Riyadh in 2013, amid the presence of only three leaders. Leaders of the Beirut summit are also participating, along with Lebanese President Michel Aoun, Emir of Qatar Tamim Bin Hamad Al Thani and Mauritanian President Mohamed Ould Abdel Aziz, while other countries are represented by heads of government or ministers. At the conclusion of the Mashreq Conference for the Economic Empowerment of Women, the Beirut Declaration stated: "The participants thanked the Lebanese government for their hosting of the conference in Beirut on the eve of the Arab Economic and Social Development Summit. The participants unanimously agreed that gender equality is the surest way to achieve a smart economy, which contributes to poverty reduction, peace building and the promotion of prosperity. They commended the gains made in the Mashreq countries over the past years in terms of women's access to education and health opportunities, but they recognized the continuing challenges in providing women with economic opportunities, their ability to make their voices heard, and to make decisions or choices. Iraq, Jordan and Lebanon have submitted plans of action aimed at empowering women economically. Each country has committed itself to implementing its plans over the next five years and has set its goals to increase women's labor force participation by 2025. Recognizing that the implementation of action plans for women's economic empowerment In each of the three Mashreq countries is closely linked to local and regional development efforts in accordance with sustainable development goals. We, as representatives of international institutions, donors, the private sector, development partners and multilateral institutions, commit ourselves to supporting the efforts of Iraqi Governments and (Sustainable Development Goal No. 5) through a participatory approach, activate this table as a priority for achieving inclusive economic growth and poverty eradication (Sustainable Development Goal 1) and building peaceful and peaceful societies (Sustainable Development Goal 16) . The Government of Iraq aims to increase the participation rate of women in the labor force by 5 percentage points over the next five years and is committed, inter alia, to enhancing social, legislative and administrative frameworks, gender mainstreaming in policies and budgets; the issuance of gender statistics and reports, Raising awareness among public and private sector employees and society as a whole on the importance of gender equality, increasing the number of female-run SMEs by providing access to finance and simplifying procedures for To link, and reducing the gender gap in education in order to build human capital. The Jordanian government aims to increase the participation rate of women in the labor force to 24%, in line with Jordan's Vision 2025. Jordan is committed, inter alia, to amending the Labor Law and related legislation to promote women's economic participation and expand their budgets for gender mainstreaming , Strengthening the capacity of departments to issue gender-based statistics and data, supporting the creation of a gender-friendly family-friendly work environment, enhancing employment opportunities for women in the private sector and increasing the number of women-led micro- and small-scale enterprises and their growth through support for women Cooperatives, and the development of educational curricula on the basis of gender mainstreaming and the launch to change the views and attitudes towards women's work and their participation in economic life campaigns. The Government of Lebanon aims to increase the participation rate of women in the labor force by 5 percentage points in the next five years, and commits, among other things, to improving the legal framework by amending and promulgating laws aimed at promoting women's economic participation in the public and private sectors, Gender mainstreaming in policies and budgets; bridging the gender gap in the preparation and production of data and statistics; increasing female employment and retention in the private sector; facilitating women's access to entrepreneurship; increasing the number of women-led SMEs; Goes to women's employment and protection, and to provide men and women with the skills that address the requirements of the labor market; and the implementation of a comprehensive awareness campaign to highlight the importance of gender equality and change the pattern towards women and their participation in all fields. The participants welcomed the establishment of the Women's Empowerment Program in the Mashreq, which aims to promote women's economic empowerment as a catalyst for the development of societies and their overall growth and peace. Designed specifically for the Mashreq region, the program aims to support stakeholders in identifying and addressing constraints to women's participation in society and in enhancing women's access to economic opportunities. The World Bank and the Government of Canada, in close coordination with development partners and all concerned, will work to ensure that the program will provide the necessary support to enable the Mashreq countries (Iraq, Jordan and Lebanon) to implement action plans to strengthen women's economic capacities. For its part, the World Bank is committed to supporting Iraq, Jordan and Lebanon in implementing these action plans and achieving the desired objectives. The World Bank will continue to engage with all partners and stakeholders and mobilize its resources and tools to raise the level of dialogue and gender mainstreaming in the Mashreq. The Bank will also work closely with the Governments of Iraq, Jordan and Lebanon to ensure that the gender component is integrated into 100% of the projects they fund in these countries by effectively identifying and addressing gender gaps, and will encourage broad and fair participation of women and men in country-level advisory activities . In addition, the Bank will produce data and analysis to provide detailed information about the social and economic sectors and to serve citizens and policy makers. IFC is committed to working with its counterparts in Iraq, Jordan and Lebanon to bridge gender gaps in private sector participation by: (i) enhancing women's participation and representation in organizational structures; (ii) promoting women's economic opportunities by expanding funding for their engagement in (Iii) strengthen women's digital skills by supporting leading women in technology; (iv) strengthen the capacity of the public and private sectors to produce and produce data on women's entrepreneurship; Gender basis To monitor policies and reforms, and to monitor progress in narrowing gaps between women and men in commercial activities, employment, entrepreneurship, procurement, resources and uses. The Government of Canada is committed to supporting Iraq, Jordan and Lebanon in developing and implementing economic empowerment plans for women by providing immediate funding for the Women's Empowerment Program in the Mashreq through a contribution of 10 million Canadian dollars. This funding is part of the Canadian Government's commitment to its international policy, which is primarily focused on supporting and empowering women in all areas with a view to establishing gender equality. This goal is at the heart of the Canadian Government's programs and policies. The Canadian Government firmly believes that enhancing women's participation in the economic life of the Mashreq countries will help to reduce poverty and bridge economic disparities, thus contributing to the building of more prosperous and just societies and the consolidation of peace. The second high-level Mashreq Conference on Women's Economic Empowerment will be held in Amman, Jordan, in 2020. "